Last week, The Post revealed how New Yorkers on welfare are buying food with their benefit cards and shipping it in blue barrels to poor relatives in the Caribbean. But not everyone is giving the taxpayer-funded fare to starving children abroad. The Post last week found two people hawking barrels of American products for a profit on the streets of Santiago. “It’s a really easy way to make money, and it doesn’t cost me anything,” a seller named Maria-Teresa said Friday. Maria-Teresa said she uses some of the products but vends the rest out of her Santiago home, providing markdowns of $1 to $2 compared to what her buyers would pay in local shops. “I don’t know how much of a business it is, but I know a lot of people are doing it,” she said. The black-market maven even takes her customers’ requests for hot-ticket items. Her best-sellers include a 19-ounce box of Frosted Flakes, which goes for $6.50 at Dominican supermarkets. She sells it for $2 less — after her sister buys it on sale for $2.99. But because the sister uses her Electronic Benefit Transfer card, she actually pays nothing — taxpayers foot the $2.99. Maria-Teresa also offers a 24-ounce Kellogg’s Corn Flakes box for $2, compared to the $4 Dominican counterpart. The Kellogg’s variety costs $2.99 on sale at Western Beef. A 23-ounce container of powdered Enfamil baby formula goes for $25 in the United States and $19 in Santiago but Maria-Teresa sells it for $15. “People want the best quality for the price, so they buy the formula made in the US,” she said. The average monthly wage in Dominican Republic is about 7,000 pesos, or just $167, and that’s why the black market has become so profitable, Maria-Teresa said. The inefficiencies of the government programs are everywhere. But, why even bother buying, packing, shipping and then selling fraudulent goods? And the food-stamp fraud doesn’t stop there. 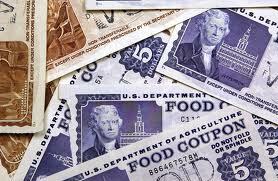 She said her sister has Bronx grocers ring up bogus $250 transactions with her EBT card. In exchange, the stores hand her $200 cash and pocket the rest. No goods are exchanged. Instead, Maria-Teresa’s sister sends the money to Santiago — when she’s not spending it on liquor or other nonfood items. It’s easier, she says, because it’s free. I have long held the belief that Fannie and Freddie were leading charge when it came to the housing boom and then bust. Certainly there were other actors with fault viably assigned, but Fannie and Freddie were the agencies that led the way. The Securities and Exchange Commission today brought civil fraud charges against six former top executives at Fannie Mae and Freddie Mac, saying they misled the government and taxpayers about risky subprime loans the mortgage giants held when the housing bubble bust. In a May 2007 speech in New York, Syron said Freddie had “basically no subprime exposure,” according to the suit. And how big of a player are they in the market today? Fannie and Freddie buy home loans from banks and other lenders, package them into bonds with a guarantee against default and then sell them to investors around the world. The two own or guarantee about half of U.S. mortgages, or nearly 31 million loans. Half. The two agencies own or guarantee HALF of ALL the mortgages in the US.